Discover your new favourite slot game! There are quite literally thousands of online slot games floating around out there, and to the newbie it can be a daunting task trying to sort out the good from the bad. How do you know which slot games offer the best value? Which are best for bonus features or boast the biggest jackpots? The good news is that the Casino Gorilla is the world’s leading expert on all things related to online casino gaming. He knows which online slots are a waste of space, and which are the all-time classics that you simply cannot miss. Read on to find out more about the world of online slot gaming and give yourself the best chance of becoming a successful slot game player. Visit any casino in Vegas or just about anywhere else in the world, and the first thing that will strike you is the noise and flashing lights produced by row upon row of slot machines. Since the 1990s developers have been taking versions of slot machines online, and more recently, developing completely new slot games to take advantage of the extra opportunities presented by online gaming. Slot machines take up the bulk of the floor space of a land-based casino, but fortunately that is not a concern for online casinos. For that reason, online casinos will pack in hundreds and even a thousand or more slots into their virtual lobbies. It is hard to resist the siren call of the best slot games, especially when you can see the potential riches which are there to be won. Most casinos will offer a variety of slot games to their players. These could be simple fruit-based three reel slots, or modern video slots taking themes from movies, history, legends, music or just about anything else you can imagine. And of course players flock to the progressive jackpot slot games, as these can make millionaires from a single spin of the reels. Online slot games look pretty simple to play, and indeed there is no particular skill or technique to use like you would find in a game like blackjack. However, that seeming simplicity has been the downfall of many an online slot gamer. Heedlessly spinning those reels without really knowing what you are doing is great news for the casino as it means you are pretty certain to be adding to their profits. The Casino Gorilla will let you know what to do and what not to do when playing online slot games. Online slot games are operated by random number generating software. Basically, this means that every spin of the reels generates a completely random set of symbols. The trap that so many slot gamers fall into is known as ‘Gamblers Fallacy’ – the feeling that you are ‘due’ a win, like the roulette player who hits red five times in a row so believes the next time black ‘must’ come up. In fact the random number generator ensures that the next spin has absolutely no connection to the one before, so don’t go chasing losses in the expectation that a win is sure to come your way due to past results. Before you spin those reels for the first time, you need to set the amount that you are going to bet per spin. Often you will be able to select your per spin bet by using one or both of the coin value plus level to reach the optimal bet. Games will have a fixed minimum and maximum bet, but as these can range from a few pence up to hundreds of pounds it is very important that you select the right amount. The casino is not obliged to give any refunds just because you didn’t pay attention to the coin value. When playing slot games, the idea is to come up with matching symbols in a line in order to win a multiple of the amount you bet. Modern slot games have variations on this model, but let’s stick to the basics here. You can click on the pay table to discover which are the most valuable symbols and how much lines of each are worth. A slot game will have a fixed number of pay lines, which could be as little as 5 or 10 on classic style games, or over 1,000 depending on the type of game you are playing. Generally slots pay out for matching symbols from left to right, but some slots have a ‘win both ways’ feature which means that matching symbols in either direction is fine. Most of the symbols in the game will be based upon the overall theme; so for example expect to see shamrocks, beers and rainbows on a Leprechaun-themed slot. Other low value symbols often take the form of playing card values. Besides these, you should look out for the wild symbol which replaces any of the basic symbols. And the most important part of many slot games is the bonus round, which can be unlocked by scatter symbols – so called because they can be scattered anywhere on the reels – or extra bonus features if there are more bonus rounds. Some games (the Pink Panther is a good example) feature randomly triggered bonus games where no symbols need to be found. Most slot games will offer at least one free spin bonus game. This allows you a designated number of free spins, and often features little extra bonuses such as additional wild symbols or increased win multipliers. It is often possible to re-trigger such games by finding more scatter symbols during free spin rounds. Another popular bonus game is the ‘click and win’ style of game, where you click on particular objects to reveal cash amounts or multipliers behind them. Perhaps the most popular type of online slot game is the progressive jackpot slot. This game takes a percentage of every per-spin bet and adds it to a jackpot sum which can be randomly won. Sometimes the game is stand-alone, sometimes it is linked to versions of the same game in different casinos, and sometimes there is a series of linked games. The more games contributing to the jackpot sum, the higher that jackpot can rise, sometimes up to millions of pounds. The jackpot can be won after any spin, but often the player’s chances are improved by making maximum bets. Now that you have an idea of how slot games work, it’s time to look at some of the best slot games around, from the all-time greats that never get old to future slot gaming classics. The Casino Gorilla has played more online slot games than most people have had hot dinners, so you don’t need to look any further for your guide to the best ones out there. He has picked out a selection of evergreen classics mixed in with the latest video slots to give you an idea of where to start next time you visit an online casino. An absolute classic from NetEnt, Starburst is an example of how excellent game mechanics and clever us of animations mean that slot games don’t have to be over-complicated to be a smash hit. This 5 x 3 reel game delivers a relatively modest jackpot by modern standards, and doesn’t feature any crazy bonus rounds, but it has been a players’ favourite for years. Spin those reels and hope that one of the three middle reels are filled with Starburst wilds to give you a free respin and the chance to make a big win. One of the most familiar slot games to land-based players is Book of Dead from the popular Novomatic group. This Indiana Jones style game has our hero trying to locate the titular book so as to unlock a most rewarding bonus round. Go on an adventure to reveal the secrets of Ancient Egypt and join the millions of people from all over the world who have made this slot a durable classic that never goes out of fashion. Jokers are wild in this slot game from Play’n GO, and games don’t get much wilder than their modern take on a classic three-reel slot. Fire Joker features traditional slot game symbols like fruits, bars and sevens, but there is nothing old-fashioned about this game. All symbols come stacked to help boost those wins, and a stack of jokers gives you a free respin of fire. Match symbols on all three reels and you get to spin the wheel of fortune to multiply your winnings by between two and ten times. Some slot games have lasted the test of time, remaining popular with players years after their initial release. But new slot games are being released all the time, and some of these are destined to become the classics of the future. Here’s the Casino Gorilla’s selection of recent slot releases which you will be playing for a long time to come. Timed to be released alongside the re-booted Jumanji movie, this slot takes elements of the mythical Jumanji board game rather than using movie characters. NetEnt are the uncrowned kings of online slot games, and once again they have come up with a fantastic game here. What separates Jumanji from other movie tie-ins is the sheer volume of bonus features. Slot gamers love a bonus, and there are too many of them at play in this game to list here. Suffice to say that you around going to love getting sucked into the world of this fantastical game. This 1980s themed heist game is another awesome example of the creative powers of the NetEnt developing theme. Expanding wilds and respins add to the fun, with those wilds becoming sticky during free spin rounds. This is a visually stunning game which deserves to join any list of the best NetEnt games out there. There are dozens of high-quality game designers out there, but the Casino Gorilla has gone for a third NetEnt game as his final choice for the best new releases. This atmospheric game sees the player go in search of those lost relics, with the aim of uncovering hidden treasures. The treasure chests which lie behind the symbols contain valuable coins, free spins and wild symbols to help you to strike gold. They say that there is no such thing as a free lunch, and that is certainly true in most cases when it comes to casino slot game free spin awards. Casinos won’t give out free spins only for players to make a profit and then withdraw all their free money without risking any of their own. That’s where wagering requirements come in, as the casinos make you work to get your hands on that lovely bonus cash. The Casino Gorilla is going to tell you just how bonus wagering works, as well as the best way to make a profit from your free spins. Casinos use bonuses as a way to entice players to sign up with their site, and to continue playing once they have registered. Bonuses are usually offered as a percentage of a player’s deposit, although they can also come in the form of no-deposit bonuses. Either way, you cannot simply withdraw a casino bonus as you will be required to bet a certain amount before taking out your bonus cash. With most bonuses, you will be told that you must complete a set wagering requirement before the bonus funds and any winnings from them can be withdrawn. This wagering requirement is a multiple of the bonus you received, or of the bonus plus the deposit you made to get that bonus. The size of the wagering requirement can vary wildly from one casino to the next – sometimes as low as 25 times your bonus amount, sometimes as high as 60 or 70 times. Higher wagering requirements mean lower chances of being able to cash out the bonus. Wagering requirements usually come with conditions about which games can be played to reach that total as well. For example, most table games like roulette and blackjack may only count 10% as compared to the 100% if you play a slot game. Let’s say you have a bonus of £100 with a wagering requirement of 50x the bonus. You will need to bet a total of £5,000 to be able to withdraw your bonus cash, if you play on qualifying slot games. Play on roulette games which count 10% and you will need to bet 10 times as much! Bonus wagering with regard to free spins works much the same way as with regular bonuses. In the case of free spins, any money you win for them is (usually) considered to be bonus funds. Now you must wager the amount of your winnings by the set amount of times as per a normal bonus in order to complete wagering requirements. There are cases when free spins winnings go straight into your cash balance, but sadly these are few and far between. Generally you will have to complete the same or similar wagering requirements as per a regular bonus offer. There are two schools of thought when it comes to trying to complete the wagering requirement of a slot game. The one that seems most obvious is to go for the ‘bigger is better’ motto. In other words, bet larger amounts so that you can get through the wagering requirement faster. This sounds good, but the problem is that most casino will impose a maximum bet size on wagers meaning that you can’t bet too much, and it is also a fast way to get through your bankroll. The Casino Gorilla usually opts for the opposite approach. Bet the absolute minimum amount on your favourite slot game, having chosen a slot with a generous return to player. This means that you give yourself more time to trigger a bonus, and the wins and losses should even out more over time. Hopefully that will allow you to take home most of that bonus! If you are anything like the Casino Gorilla, then more often than not you prefer playing slot games on your phone rather than a desktop computer. You’re not the only one, as more and more people choose phones or tablets as their number one way to play at online casinos. Fortunately, modern slot games are designed with mobile players in mind so you won’t miss out on any of the excitement when you are playing on the smaller screen. For reasons of memory space, online casinos generally offer fewer games to mobile players than to desktop users. However, you will still be able to choose from hundreds of great slot games, including the most popular games. Nowadays slots are designed for mobile first and desktop second, so you can use touch-screen technology to control your settings and spin those reels, no matter whether you are playing from home or are out on the road. A surprising number of people out there play online slot games without fully understanding even the basics of how they work. That is a very quick and easy way to lose money at the casino! 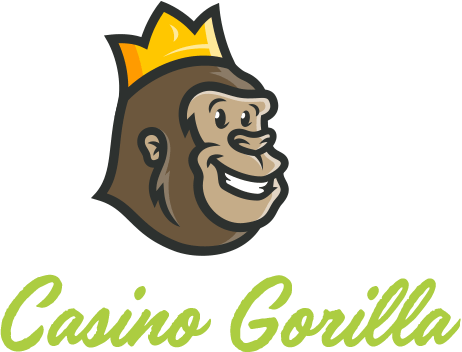 The Casino Gorilla is going to take you through the basics and give you all the info you need to maximize your chances of becoming a slot game winner. Traditional slot games operate using pay lines, which are the pre-set lines along which matching symbols must appear to pay a prize. You can check the pay table (sometimes listed under ‘I’ for information on the slot game) to see how many pay lines there are and the patterns they form. A typical pay line is a straight or zig-zag line going from left to right across the reels. An average game may have 25 of these, and if the minimum bet is 1p per line then it is going to cost you 25p at a minimum to spin those reels once. Modern games do not always use pay lines – at least not in the traditional sense. Some games will pay out for any symbols that appear in adjoining reels. Others pay out going from the rightmost reel and moving left as well as the other way around. In recent years ‘cluster pays’ games (like Aloha) have become more popular. These don’t use pay lines at all, but pay out when a minimum number of symbols are touching one another horizontally or vertically. Your bet size is very important to get right before you spin the reels of your chosen game. Not every game is set to open on the minimum bet amount, so if you don’t pay attention you may work through your bankroll with larger bets than you intended to make. Choose your per-spin bet by adjusting the coin value and level to find the amount that suits your pocket. Remember, the more you bet the more you can win, as wins are multiplied by your line bets. When playing jackpot games you may be required to bet the maximum amount in order to have a shot at the top prize. However, big bets can also mean big losses, so be careful! 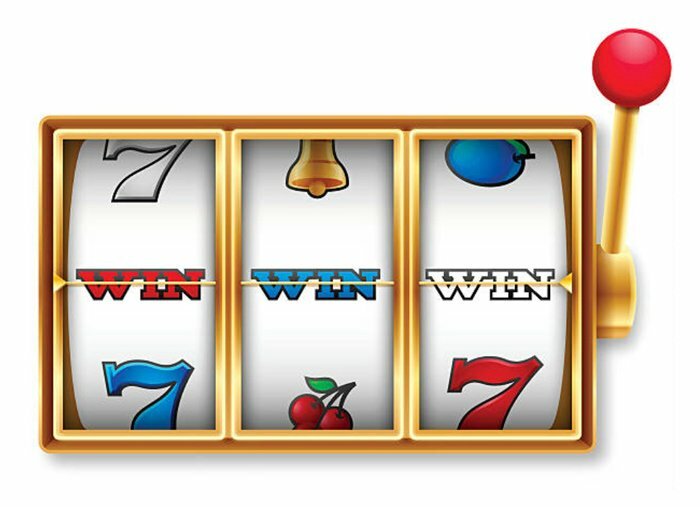 Every slot game has a maximum winning amount, generally determined by the top value symbol. The jackpot could pay out if you find 5 of the highest value symbol in a line, or it may be more complex than that as multipliers and bonus rounds can come into play to determine the jackpot. You can easily discover the game’s jackpot amount by clicking on the information button within the game. As mentioned earlier, progressive jackpots are the real stars of the slot gaming world. While a standard slot will have a set maximum jackpot, the sky is the limit for progressive jackpot games. These just keep getting higher until somebody wins them. With a percentage of every spin going towards the top jackpot prizes, the biggest games (like Mega Moolah and Mega Fortune) can pay out millions from their top jackpot awards. Every game in the casino has a ‘house edge’, which is the amount that the casino will win in the long run from a particular game. A game like blackjack can have a very low house edge – if played correctly – while games like Bingo give a much bigger advantage to the casino. If the house edge is 2% then the theoretical return to player (RTP) is 98%. Bigger RTP means better news for the players. Slot games all have an in-built RTP which you can easily find by a quick online search. Usually an online slot RTP is between 94% and 97%, so look for the higher ones when you are trying to complete a wagering requirement. These figures are calculated over millions of spins, so in the short term they only give a rough guideline as to what to expect from a game, but are useful to know just the same. The volatility or variance of a slot game is another useful factor to take into account. This measures the regularity of wins from a particular game. A low variance game pays out small amounts on a very regular basis. A high variance/volatility game makes you wait for those wins, but they are bigger when they do finally arrive. Which you prefer depends on how much money you are playing with, and whether you prefer the buzz of regular wins or the satisfaction of a big win that takes a while to arrive. If you are trying to complete wagering requirements then the Casino Gorilla always looks for a low variance game to keep things ticking along. If you took away the symbols from online slot games you would be left with a pretty dull gaming experience. Part of the fun is the superior animations and graphics which transports you to a different world as you spin those reels. Whether your preference is myths of the Ancient Gods or slots themed after your favourite sports, there is something out there for everybody. The very first slot machines were basically mechanical poker playing machines, and their legacy has survived to this day in the playing card symbols which are to be found in many slot games. Generally the lowest value symbols run from 9 or 10 to J, Q, K and A. The higher value base game symbols will be those ones that relate to the theme of the slot game. So for example, a Batman slot may feature characters from the movie on the higher value symbols. The Casino Gorilla is less wild than in his younger years; he is more of a tame gorilla these days. However, he does love those wild symbols that appear to help out online slot gamers by combining to make winning pay lines. The wild symbols come in all shapes and sizes but usually stick out from the crowd to let you know their importance. A wild symbol can replace any standard base game symbol to form a winning line, although it can rarely if ever take the place of a scatter symbol. The Scatter symbols are the ones that all experienced slot gamers know to look out for. These are the keys to unlocking those all-important bonus rounds, which is where you can really make slot games pay out big. Mostly you will be required to find three scatter symbols anywhere on the reels in order to activate a bonus round, though of course not every slot game is the same so there can be different requirements. Generally speaking if you find two or more scatters you will also win a cash prize.